The top executive of Freddie Mac is quitting after less than six months on the job as the company continues to hemorrhage from mortgage losses and plans to ask the government for up to $35 billion in additional aid. McLean, Va.-based Freddie Mac said Monday that David Moffett will step down as chief executive and leave the company's board of directors by March 13. Moffett, a former vice chairman of US Bancorp, has been CEO since September, when the government seized control of the mortgage finance company and its sibling Fannie Mae. Freddie's said its board is working with the Federal Housing Finance Agency to appoint a successor to Moffett, who indicated in his letter of resignation that he wanted to return to the financial services sector. The company's board chairman, John Koskinen, said in a statement that the company expects to pick an interim top executive by Moffett's departure date, adding that "we are very sorry to see David go." The announcement comes just days after Fannie Mae said it needs $15.2 billion in government assistance and that it lost nearly $59 billion last year as the foreclosure crisis mushroomed. 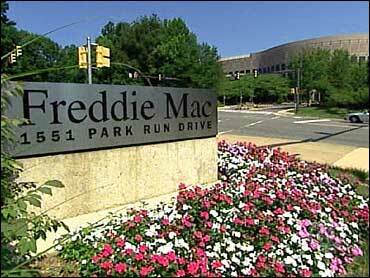 Freddie Mac is expected to report its fourth quarter earnings early this month, and has already tapped almost $14 billion in government aid. The Treasury Department last month doubled its lifeline for Fannie Mae and Freddie Mac to $200 billion each. Taken together, Fannie and Freddie own or guarantee almost 31 million home loans worth about $5.5 trillion. That's more than half of all U.S home mortgages.